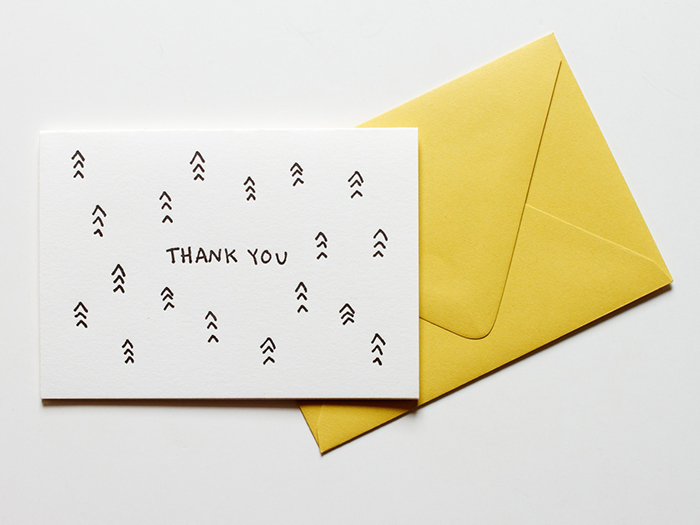 I have been a long time fan of Baton Rouge based Blackbird Letterpress’ distinctive work and am so pleased to see that Kathryn is expanding her die cut cards for the 2015 National Stationery Show. So much of this gorgeous line has an heirloom keepsake feel to it. 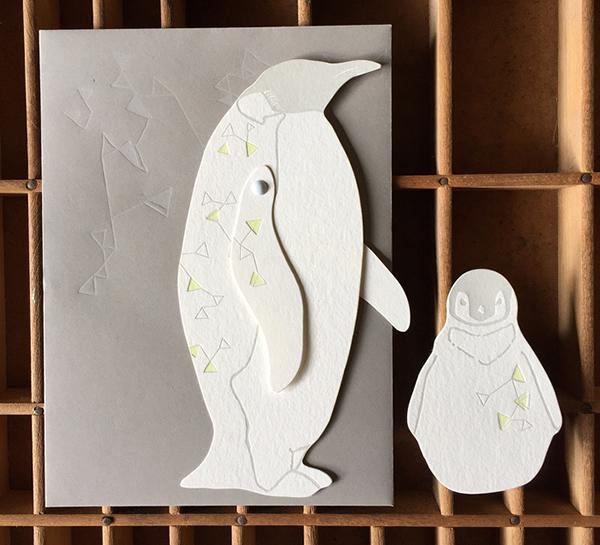 In fact, I’ve been known to buy some of Blackbird’s cards to simply enjoy as art objects, those sweet new penguins will definitely be joining the ranks there. See all of these beauties and much more in Booth No. 2059! I had the distinct pleasure of reacquainting myself with Allison and Daniel of INK MEETS PAPER at The Maker’s Summit this March. I’ve always been a fan of their motto, “Text Less. 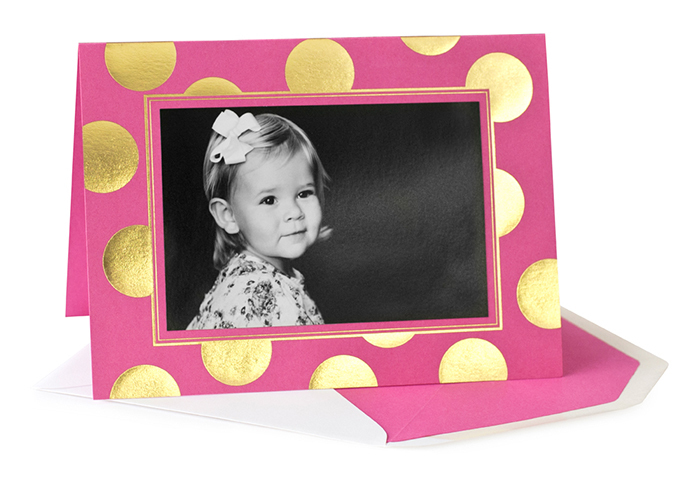 Write More” and love that all of their cards are paired with their exclusive recycled envelopes with a little message under the flap. 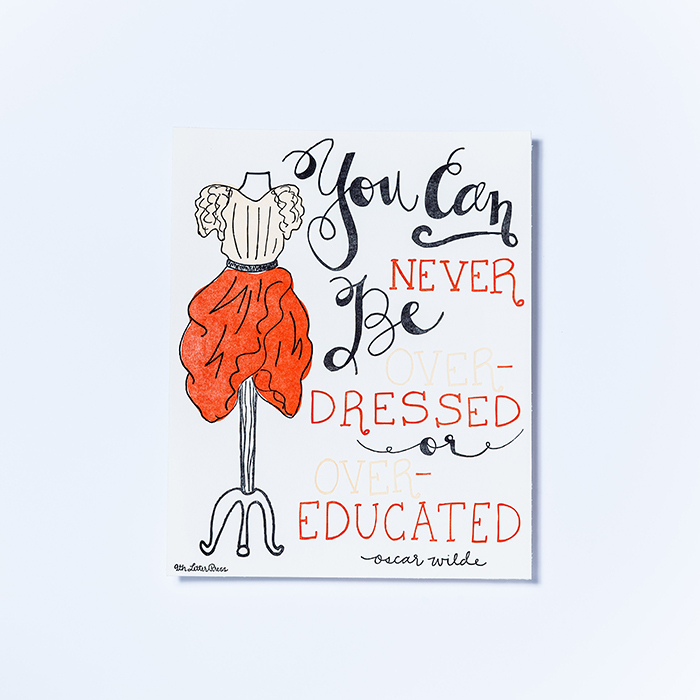 INK MEETS PAPER is introducing over 20 new greeting card designs this year at NSS. 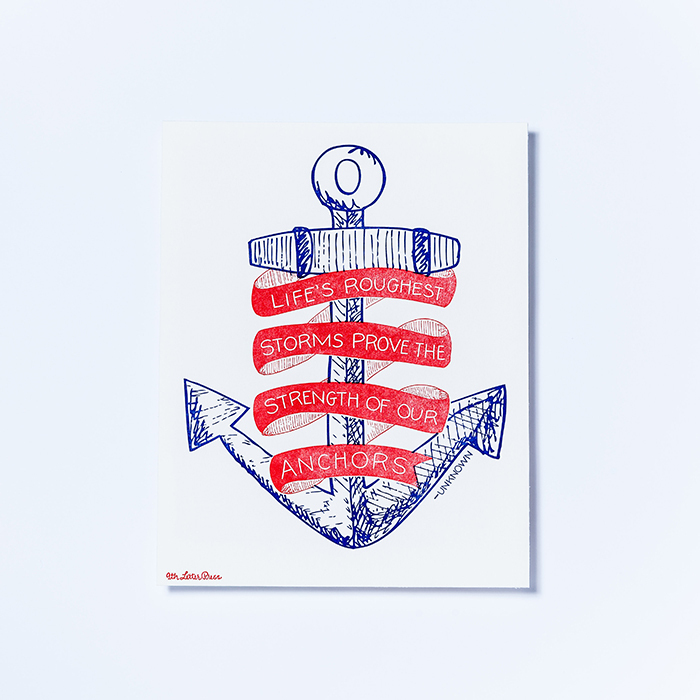 All of their designs are hand-lettered and hand-drawn in their sunny studio in South Carolina. Be sure to check them out in Booth No. 1453! 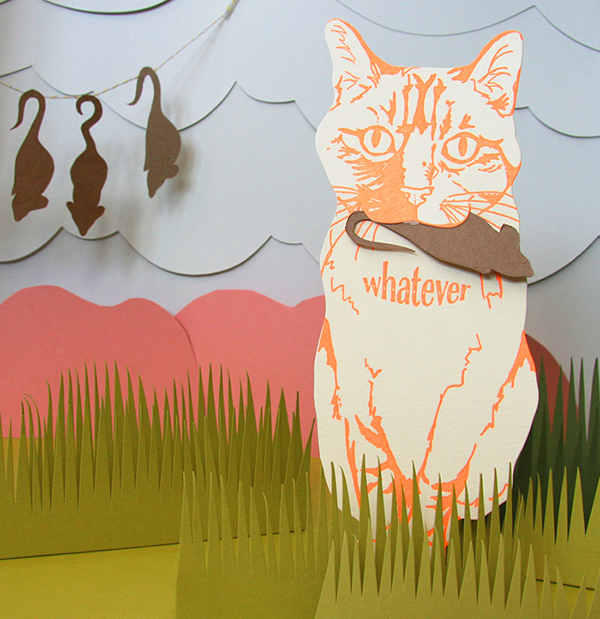 The ladies of Farewell Paperie never cease to impress me with their ingenuity and laugh out loud humor! 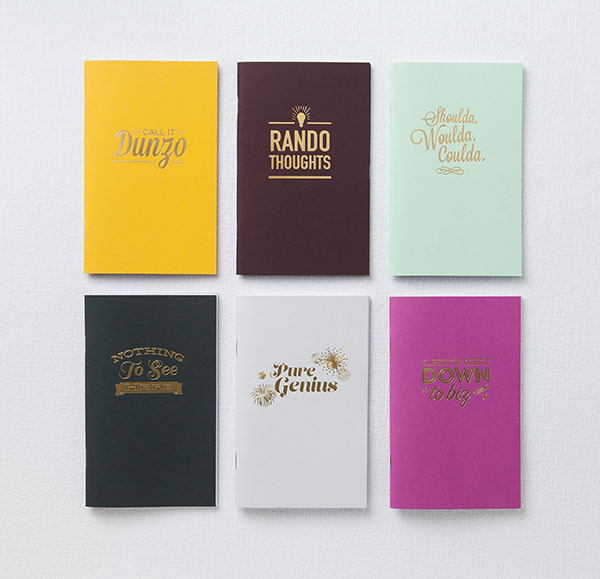 They are returning to NSS with tons of new goodness, including the debut of a new series of office supplies, which include notebooks, list pads and prints. 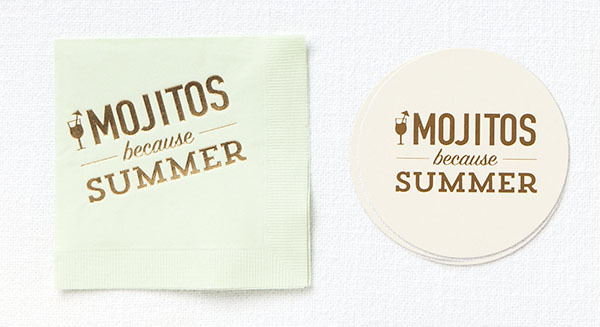 They have also expanded on their entertainment offerings with a series of “Boozy” napkins and coasters, they make a perfect pairing! Find all these lovelies and more in Booth No. 2158. 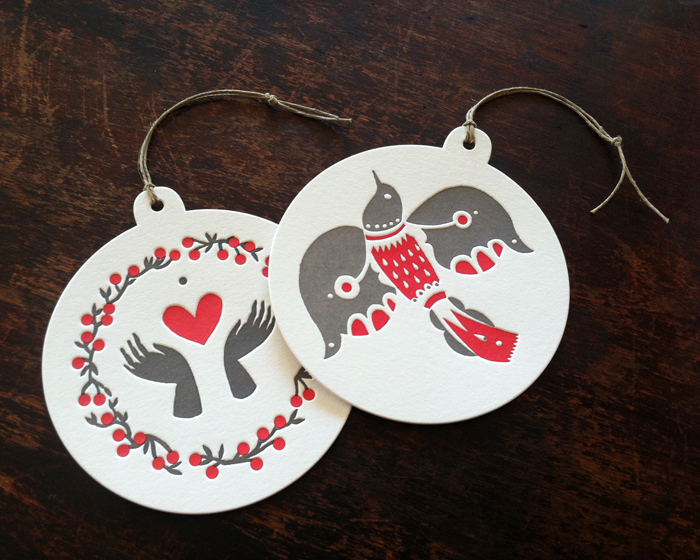 Our next fetching NSS sneak peek comes from Parrott Design Studio, in Rhode Island. I’ve been a follower and fan of Sarah’s beautiful and distinctive style for awhile and was delighted when Sarah agreed to send a few images of her new NSS releases my way. The wooden cake toppers are a brand new category and there will be a total of three debuting at the show, with plans to expand the offering. 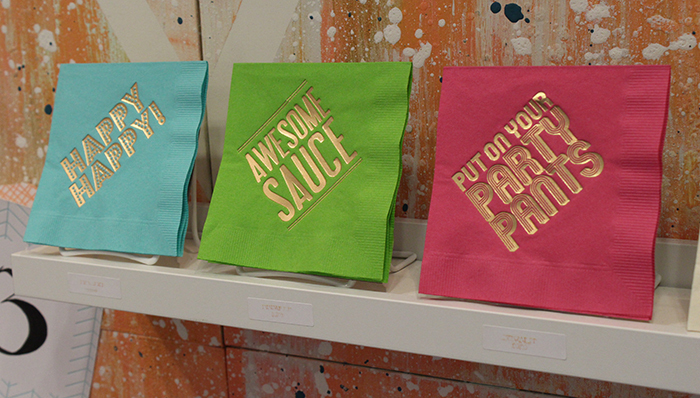 Do not miss the Parrott Design Studio Booth — No. 2064! I audibly squealed when I saw these new birthday cards from Iron Curtain Press and also had a very distinctive craving for cake and tacos! 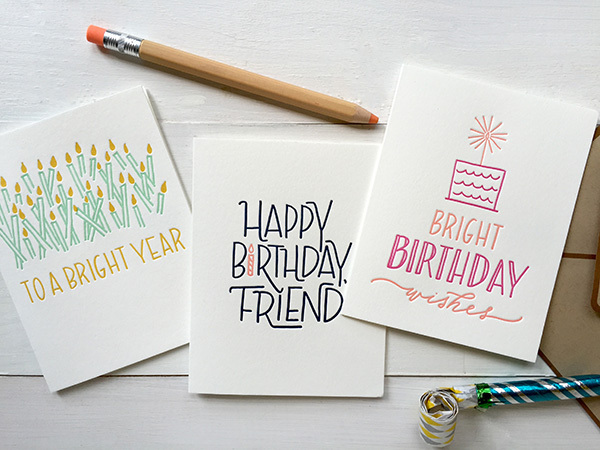 Iron Curtain Press will be returning to the Stationery Show with 42 new cards and a new category – prints – in which they will have 10 available to order. 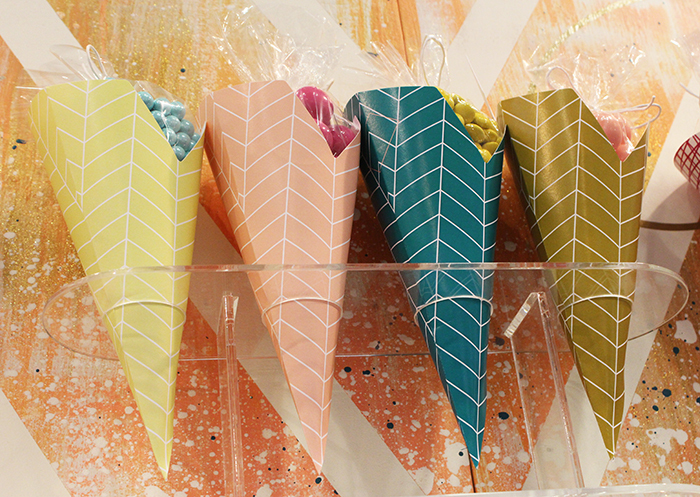 2013 was their first year at NSS and they made quite a splash, so be sure that you swing by Booth No. 1962 to ogle all of the awesomeness! 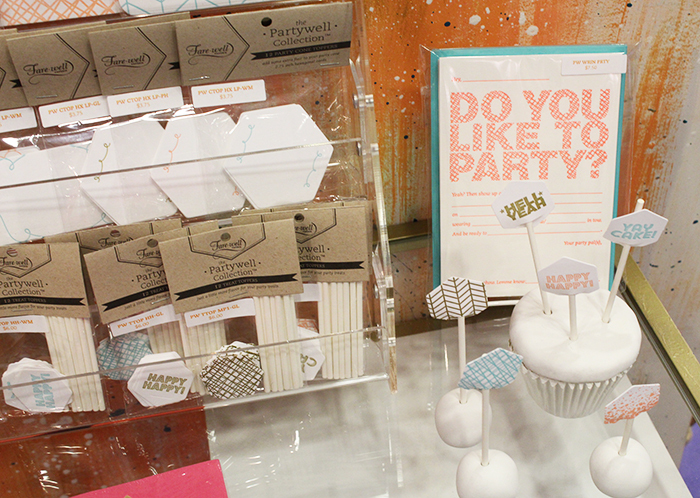 Loving the emergence of more and more modern partyware! Farewell Paperie really hit it out of the park with the debut of the Partywell Collection, lots of other great goodies such as drink tags, table numbers and coasters that I didn’t capture. 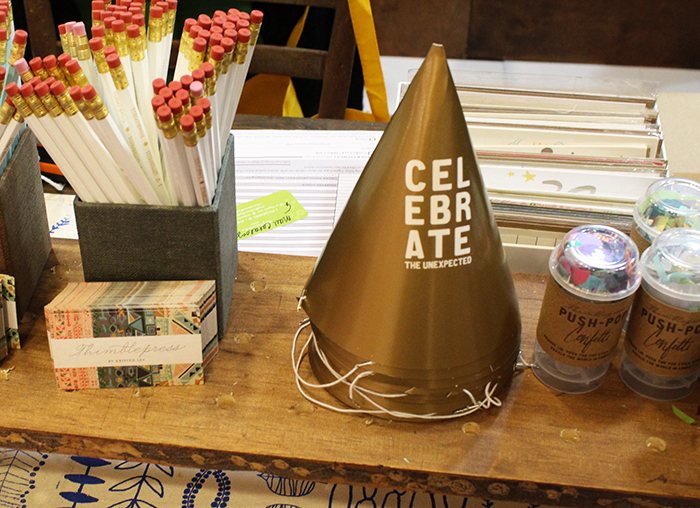 I had the pleasure of receiving a sneak peek of Thimblepress‘ Push-Pop Confetti and adorable party hat before NSS, Ula had a little too much fun with the confetti! 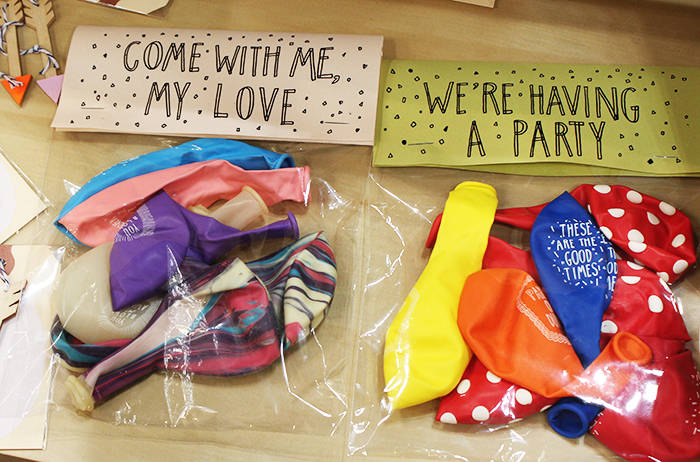 And we are smitten with The Great Lakes’ new balloon sets, they look stunning inflated. We’re planning to get them filled with helium for our show at NY Now later this month, come check them out if you’ll be at the show! 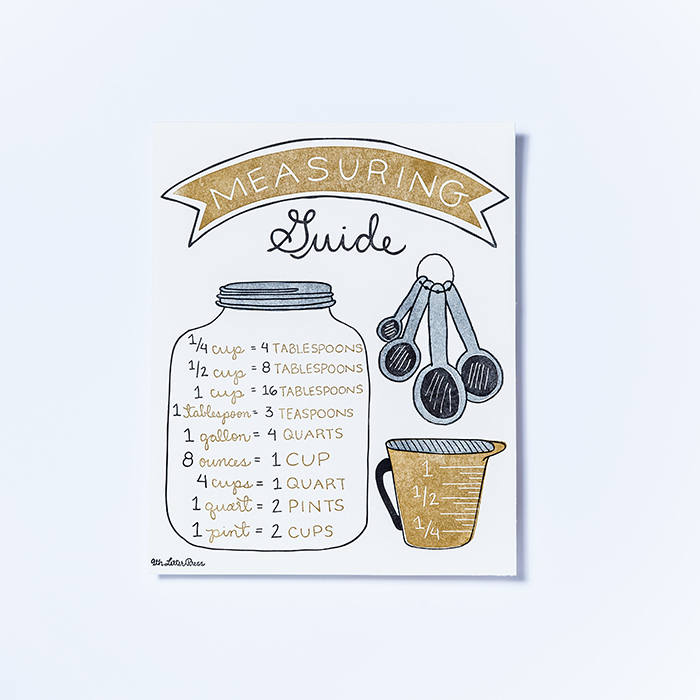 I can easily get lost in Sugar Paper’s enviable collection most days, but seeing some of their new designs makes me wonder how anyone makes a decision – personally, I want it all! Chelsea and Jamie set out to create a “small release” for NSS this year and ended up adding 88 new products; they are simultaneously amazing, possibly a bit deranged and surely sleep deprived. 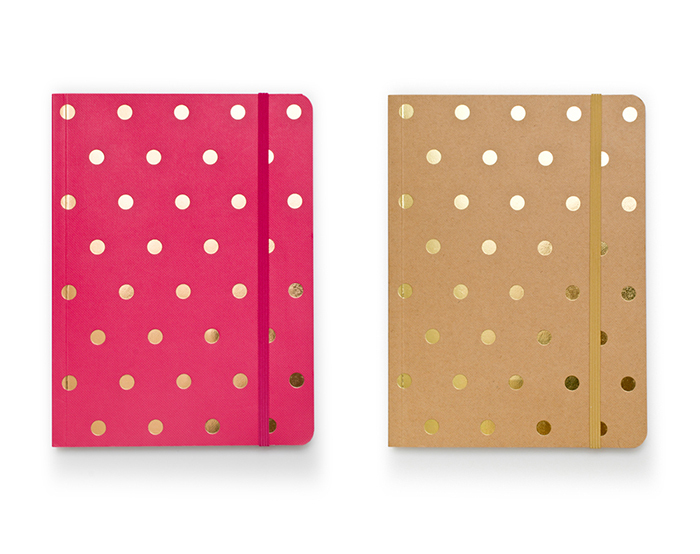 We can’t wait to fawn over everything in BOOTH No. 1943-1945. 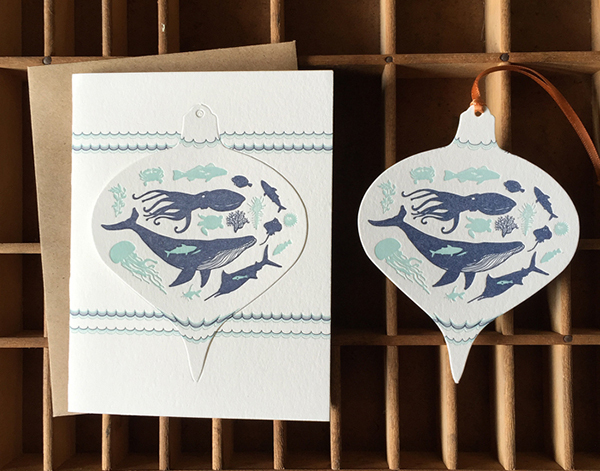 A bit of Pacific Northwest sneak peek love from Bison Bookbinding & Letterpress today. 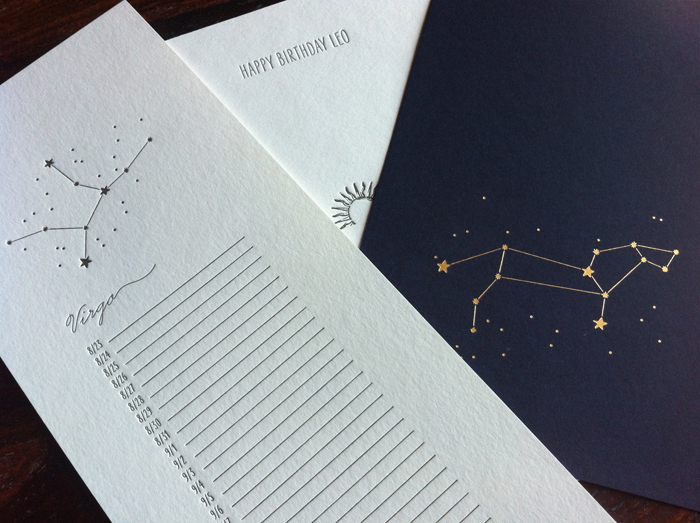 I’m fairly smitten with their gorgeous constellation calendar, fun that the dates are seperated by astrological signs instead of boring old months. And I’m perpetually a fan of Bison’s collaborations with Karolin Schnoor, quite pleased to see that they’ve joined forces again. View their entire collection in BOOTH No. 1768. 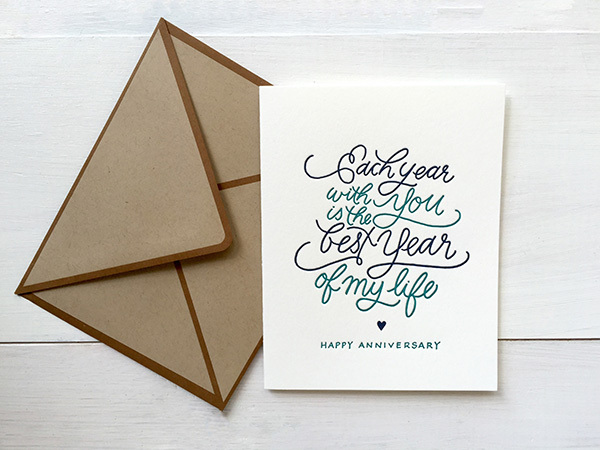 Today’s sneak peek comes from the lovely ladies at 9th Letter Press in Winter Park, Florida. I was delighted to meet Isabel and Sheli at the 2012 Stationery Show and simply can’t believe how much their line has grown in such a short period of time. I’m a sucker for a good print and love that they’ve expanded into this category. Be sure to check out all of their loveliness in BOOTH No. 1754. I had the distinct pleasure of connecting with Rosanna of The Iron Curtain Press earlier in the year at Paper Camp in LA. I was fortunate enough to get a peek of the party image up top and I went bananas! 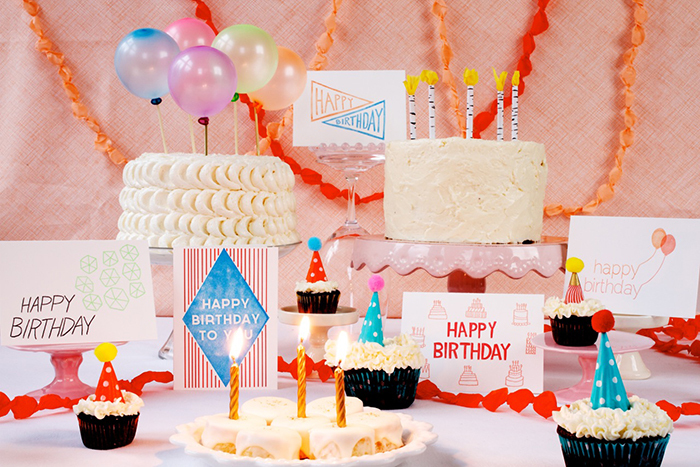 How clever is it to design a photo shoot that’s a birthday party for your birthday cards? Such an awesome concept and image. 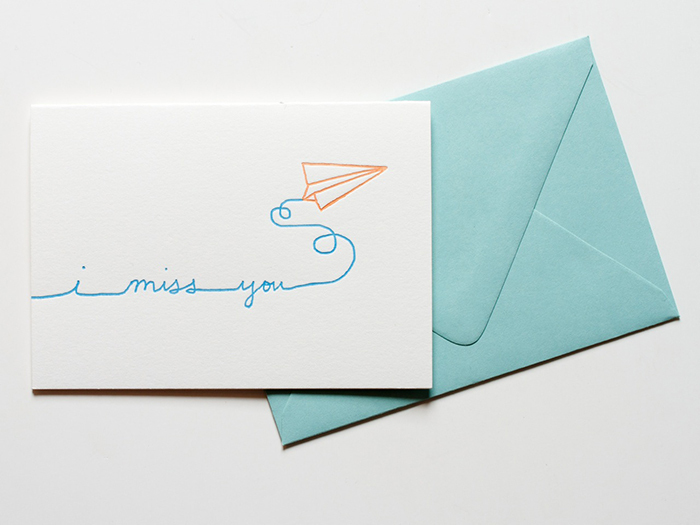 The Iron Curtain Press will be headed to NYC next week for their first Stationery Show, they’ve been in business since 2007, so this is a biggie. Find their delightful goods in BOOTH No. 1679. 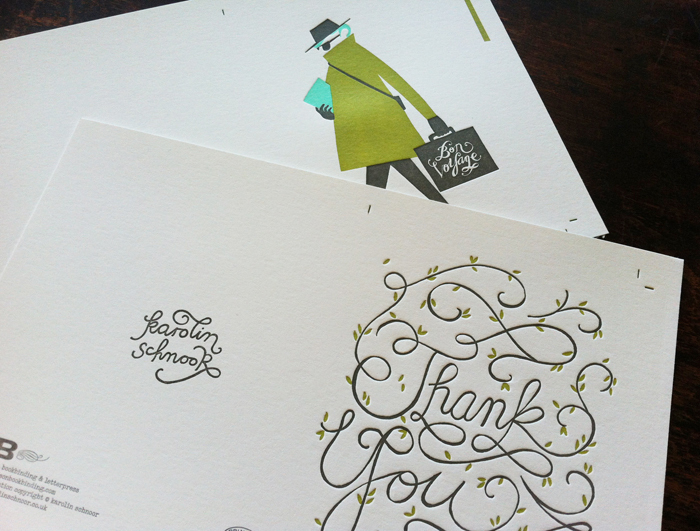 Carina has had the pleasure of blogging about talented stationers, gift designers and retailers since 2008. 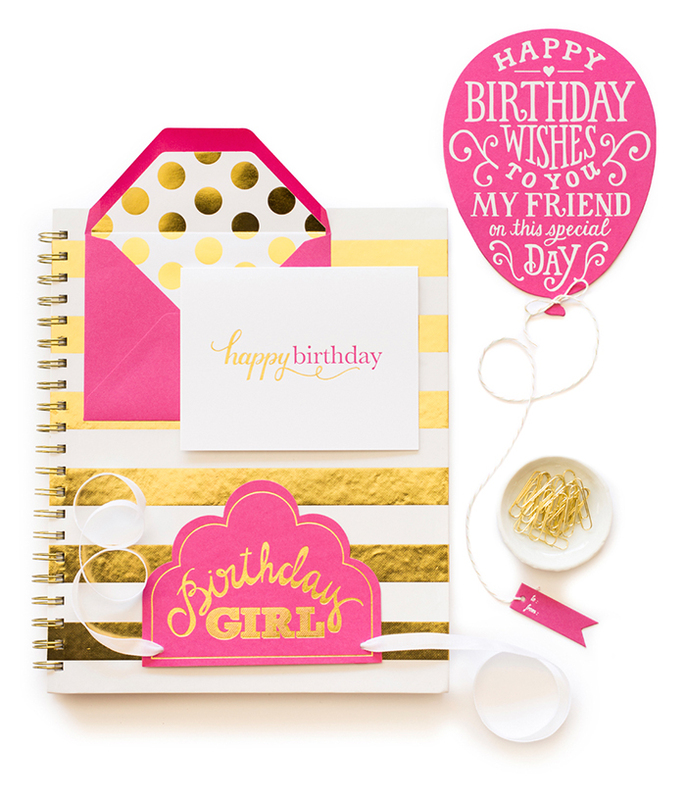 The blog often features up and coming companies and is known for their extensive press coverage of the National Stationery Show each May. Buyers and boutique owners turn to C&C to discover new talent and identify industry trends. Submissions are welcome and can be sent to carina@crowandcanary.com — images should be at least 600 pixels wide. 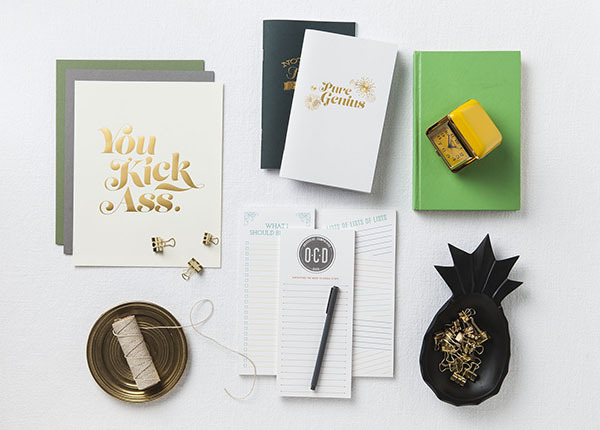 Crow and Canary is a nationally recognized rep group that specializes in selling modern paper goods and gift items to the wholesale market. Our territories include Washington, Oregon, California, New York, New Jersey, Philadelphia, Connecticut, Maryland, Virginia, the District of Columbia, Massachusetts and Rhode Island.